Creating content is a hard work. From planning and brainstorming to actually creating content requires time, energy and investment. But what if you don’t have the time to churn out new content consistently? Are you bound to fail? 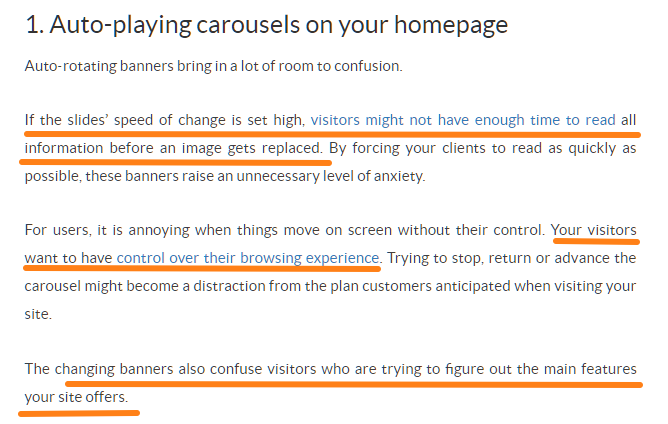 Not quite, especially if you have existing content on your site. By reusing and reframing older content, you can not only get more traffic but also capture more leads. In this post, I’m going to show you how you can use your older content to get more conversions. Slideshare is a slide deck search engine which just happens to have 70 million users. Since they stand at the intersection of visual and written content, Slideshare presentations appeal to visual learners, busy executives and anyone who doesn’t have time to read 3,000+ word blog posts. But that’s not all – Slideshare is also a fantastic tool for capturing leads. Have a format that supports visualization. A 10-point “how to” listicle is easy to turn into a slide deck, while a text-heavy op-ed isn’t. Tie into your business goals. Leads captured from content that doesn’t fit into your buyer’s journey will be hard to convert. Instead, focus on content that is already a good source of quality leads in your funnel. To turn your blog post into a slide deck, simply create a script from your blog post by taking key points and making them more concise. From each point in this post, you can prepare 2-3 slides. The key takeaway, content and the headline for each point will serve as the content of separate slides. After you’ve created these slides, simply go to Slideshare and create a new presentation. Upload your slides and add a keyword-rich description. Slideshare presentations frequently rank at the top of the SERPs, so it’s a good idea to add your keywords in the title as well. Slideshare doesn’t only attract a new audience but also helps you increase conversions by allowing you to capture leads natively. 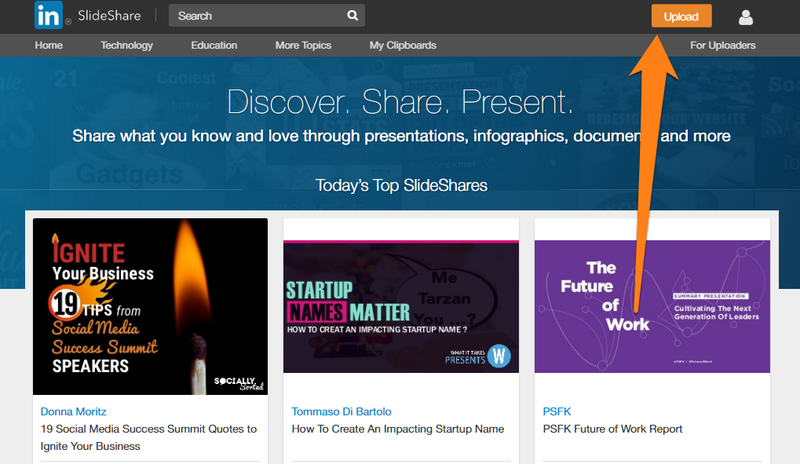 Slideshare has a “lead capture” feature that allows you to capture emails of people viewing your slides. 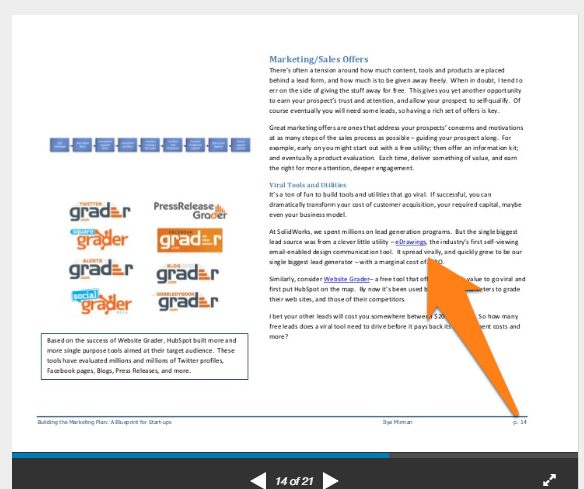 Slideshare has a presentation on how to collect leads from your presentations. You can view it here. 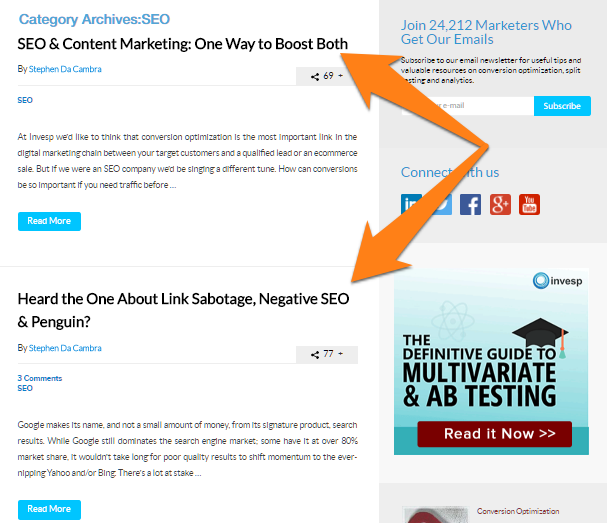 Links in Slideshare presentations can be clickable. Follow the instructions here to learn how to do so. Webinars are among the most powerful conversion weapons in your arsenal. There is, however, one big problem: creating a webinar can take hours. Plus, since they are “live”, you can only host them once. Fortunately, there is a solution: pre-recorded webinars. 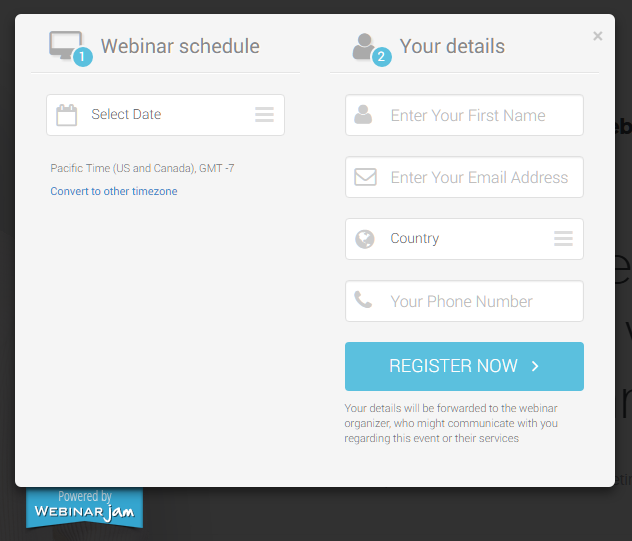 Pre-recorded webinars are exactly what they sound like: recorded webinars offered at a scheduled date. Since the dates are scheduled, they can give the impression that they are “live”. The good part is that if you have existing Slideshare presentations, you can create webinars in hours instead of days. The easiest way to do it is to use a webinar tool such as GoToWebinar to record yourself talking over your presentation. To really drive conversions home, invite an influencer or third party to join for the discussion stage so that they bring their audience to your content as well. Plus, with two people talking, you can start off a conversation, which is always more entertaining and insightful than a single person talking. Stick to 30-60 minutes in total length, though short, 10-minute webinars can also work really well in the “Awareness” stage of the funnel. Once you’ve created the webinar, you can create a landing page. 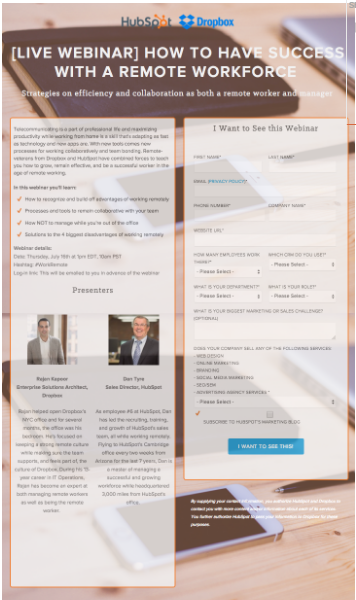 This page should be in-depth and answer all the who, when, where and why of your webinar. 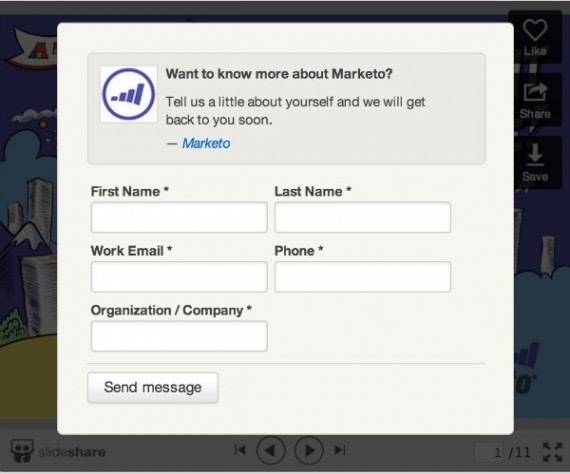 Here’s one Hubspot made for their session with Rajan Kapoor of Dropbox. You can offer this recorded webinar to your blog/newsletter readers. Alternatively, you can plug the webinar into your marketing funnel and offer them only to visitors who perform specific actions (such as subscribing to your email or downloading a high-value eBook). While creating in-depth content on how to do something can be good, sometimes your readers just need to be spoon fed. Cheat sheets come in very handy here. By turning your existing content into cheat sheets, you break down complex processes concepts and make challenging tasks easy to replicate without much effort. It reused this cheat sheet on multiple posts, offering them as printable PDFs. They break down complex processes into digestible visual steps. They are reusable; one cheat sheet can be used on multiple posts. Try creating a single-topic cheat sheet from your older posts. This cheat sheet should distill the contents of the post into a single printable image. 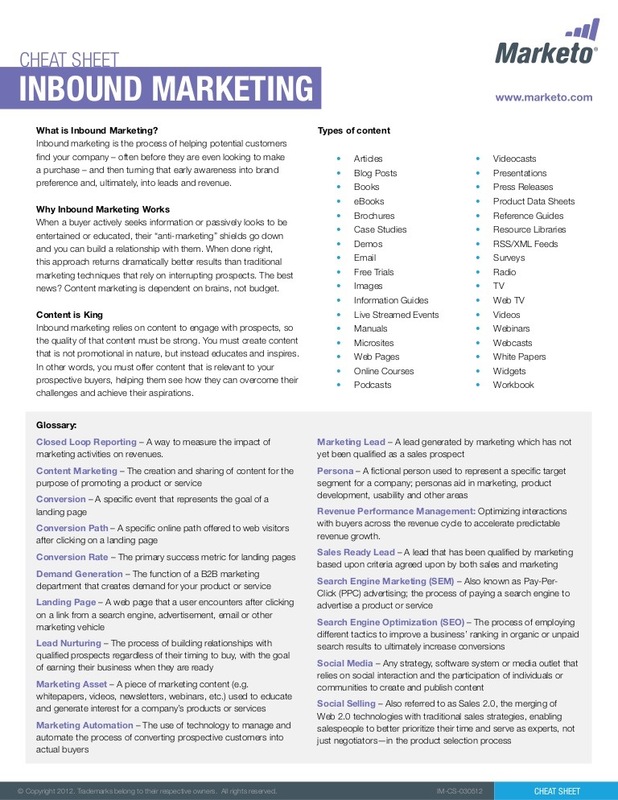 Then add this cheat sheet as a downloadable content upgrade to all related blog posts to turn more visitors into leads. If you’ve been blogging for a while, you probably have a library of content focusing on different topics. Some of these content pieces will likely be closely related to each other. By combining key takeaways from these content pieces, you can quickly create email courses for capturing leads. Conversion-focused: If someone wants to access an email course, they have to share their email. This makes them highly conversion oriented. Easy to create: Instead of cumbersome PDFs, creating an email course is usually as simple as putting together a landing page and adding all emails to an autoresponder. Easy to consume: Readers often find email courses easy to consume since the lessons are sent straight to their inboxes on a fixed schedule. They don’t have to check a website for updates, nor do they have to guess the date of the next lesson. For blogs with a lot of content, finding blog posts will be as simple as looking up all posts under a specific category or tag. From this, I could make a list of posts that would work well in a structured email course. Most email courses only last a few weeks and don’t contain more than ten emails. You want to send your content quickly and consistently to warm your leads but not so quickly that they feel overwhelmed. Space them out. Also, make sure to choose a structure that gradually escalates in value and difficulty. For instance, if you are writing a course on conversion rate optimization, your first lesson should be titled “What is Conversion Rate Optimization?”, not “Advanced Conversion Rate Optimization Tactics” (unless you are targeting advanced CROs, of course). Use the takeaways from your older blog posts to brainstorm titles for your course emails. Also, make sure that every course ends with an “ask”. This should be the final email where you move consumers further along the conversion funnel. You don’t want to manually send emails to your list or else you might need to hire an entire team focused on that task daily. Use email tools such as MailChimp and Aweber which let you set conditions in autoresponders of when emails are sent. Notice how there are only nine lessons in this email with a bonus wrap-up. The wrap-up presents you an opportunity to plug in your call-to-action. Not everyone prefers the same format of content. Take advantage of this and repurpose your popular older content into different content formats to engage a new audience. 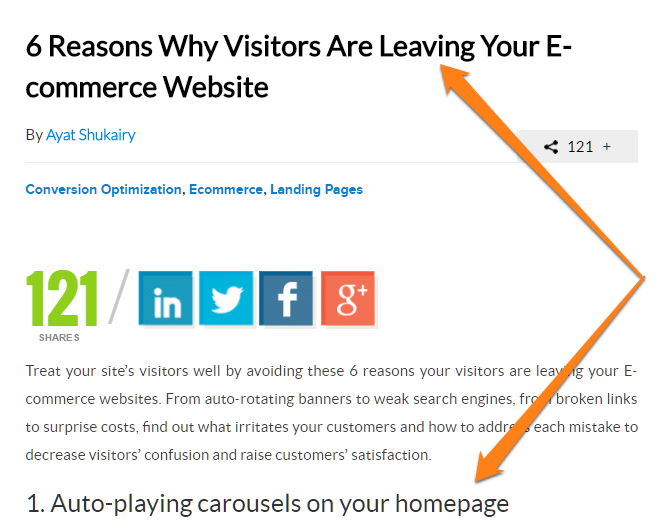 This way, you drive more traffic to your site while also getting more conversions. Focus on reusing content in conversion-focused formats when you have an existing content library. Webinars, email courses, etc. are high-value content types and are great for capturing leads. Slideshare presentations made from your existing content can be great for lead generation using the Slideshare lead capture form.